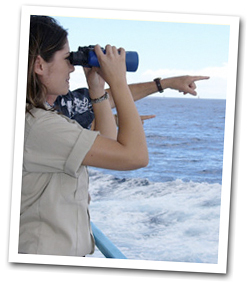 Join us on Hawaii's most popular whale watch cruise! 60' high observation deck offers 360° views and the most outdoor space. 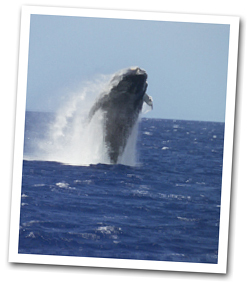 Most whale activities, with Certified Naturalists, keiki (child) program, Whale Guarantee and more! Plus, experience Hawaii through lei making, hula and ukulele lessons! Plus, experience Hawaii through fun hands-on Hawaiian culture activities of lei making and hula and ukulele lessons! 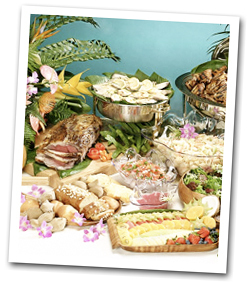 Buffet Lunch option features a roast beef carving station. 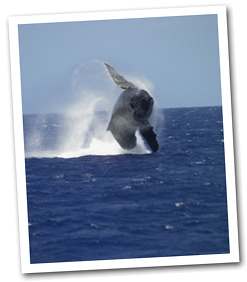 Whale Guarantee: Receive a free return Whale Check until a whale is sighted (meal and transportation optional). Hawaii's premier cruise ship equipped with watts-type stabilizers, 1,500-passenger capacity and A.D.A. compliant facilities. Departs from Aloha Tower Marketplace, Pier 8. Accessible Accommodations (for transportation and vessel): Available upon request with 24 hours advance notice. Please call 808-721-1552 to request. Cruise Time: 12:00 - 2:30PM; December 15, 2016 - April 5, 2017. Location: Departs from Aloha Tower Marketplace, Pier 8. For those arriving via own transportation, please check in 45 minutes prior to departure at our Reservations Office, next to the Star of Honolulu.